Križevci is one of the oldest medieval towns in Northern Croatia. Already in 1193 it gained the status of a free royal town. This town of a long and turbulent past was host to 38 status meetings called „Sabor“, one of which was the infamous „bloody sabor of Križevci“ of the year 1397. The sabors were held in the church Sv. 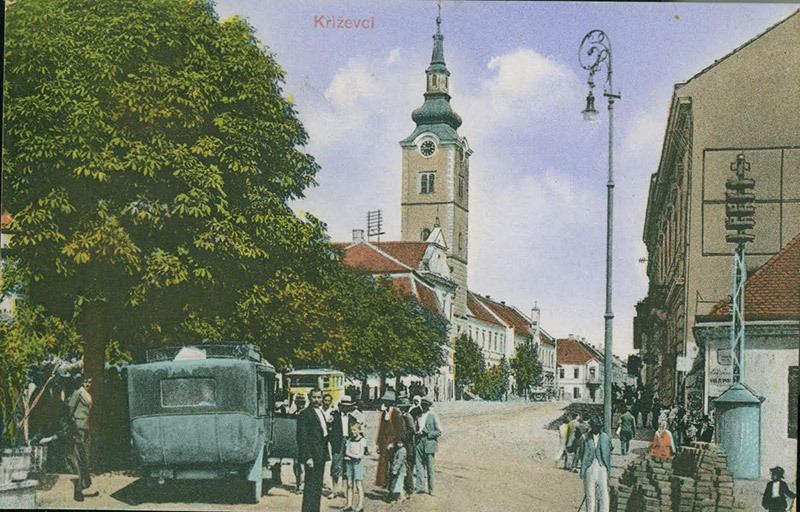 Križa, which the town allegedly was named after. Križevci is also known as the town of the eight church towers, to which it owes its distinctive silhouette. The church Sv. Križa dates from 1232 and contains a unique baroque marble altar from the year 1756 by Francesco Robba and a painted depiction of the „bloody sabor“ by Oton Iveković, which is eight meters broad and adorns an arch in the sanctuary. The greek catholic diocese is owner of the most representative sacral building and the highest-value complex of the Greek catholic cathedral Presvetoga Trojstva as well as of the Bishop’s residence with its treasury and a library holding examples of books from the 15th and 16th century. Križevci’s patron saint is St. Marko Križevčanin, who was the third Croat to be canonised. His day, September 7th, attracts a big number of believers to the town each year. The town has always been an important centre of education and schooling. One of the first reading rooms of Croatia was opened here in 1839, and already in 1860 the Institute of Economy and Forestry was put in place. Križevci is the birth town of the statutes of Križevci, a written rulebook on good table manners that was known already in the 18th century. Without it, real celebrations and amusements were hardly conceivable. The statutes of Križevci were written by cheerful, generous and well meaning people who loved the good wines, for which the Križevci and Kalnik region has always been famous. In the course of the year, numerous events are taking place in town, starting from the most well known Križevačko veliko Spravišče, which for nearly half a century has given Križevci the reputation to be a very hospitable place. Among the other events, the celebration in honour of the wine saints Sv. Vinko („Vincekovo“) and Sv. Martin („Martinje“) are worth mentioning as well as the Križevci carnival, the days of the Croatians saints and blesseds, the trade and crafts fair of the County of Koprivnica-Križevci and the day of St. Marko Križevčanin. Shady parks, a sun kissed beach and great welcoming places. The pride of the local people looks like this. It is one of the best-organized places of the southern coast of Lake Balaton and a paradise for family tourists. In the town can be found everything, what a guest needs to have a pleasant holiday at Lake Balaton. Blue watered beaches, historical sights, traditional Hungarian restaurants, thatched wine cellars, where you can taste traditional and luscious types of wine and colorful cultural programmes make the holiday of the tourists unforgettable in the village. The town with its nearly 1890 inhabitants is located on a hillside, in the middle part of the southern coast of the so-called „Hungarian see”. The history of our town is traceable from prehistoric times. Fossils have been proving that our town were already a populated area in the Bronze Age, before the arrival of the conquering Hungarians. The linguistic interpretation of the name „Szemes” („szem” means in English „eye”) is uncertain, perhaps it indicates that a watchpost stood once here. In the Middle Ages, the town had already have significant number of churces and monasteries. After the Turkish occupation of Hungary, more families settled in Balatonszemes from Upper Hungary (Felvidék). 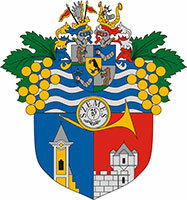 The family Hunyady, whose main activities were agriculture and fishing became the proprietary of the town in 1733. The first tourists came to Balatonszemes in the 1880s. At this time, the bathing culture blossomed. At the beginning, the visitors coming mainly from Székesfehérvár and Budapest started to rent the houses on the main street during the summer. In 1895, Count Imre Hunyadi realized the advantages coming from holiday tourists and parcelled his territories along the lake. The first villa was built by a regimental doctor called Alajos Vajdits in 1898. It is located in Bagolyvár street, in the place of the former Turkish border castle called Bolondvár. Bolondvár, which were newborn in a romantic style with a storied tower, a spiral staircase, terraces and a retractable bridge got a new name Bagolyvár and ensured the comfortability of the lord of the castle. The Bath Association was founded in 1908. For the development of the town its establishment had a big importance in the era. In 1912, the name of the village was changed from Faluszemes to Balatonszemes, which is still a quiet, calm and familial resort. The port of Balatonszemes was built in 1913. The piers of the reconstructed port provide security for 330 sailing boats and bigger ships. It is one of the biggest and most modern harbour of Lake Balaton. Balatonszemes has plenty of monuments and sights. The already mentioned first villa of the holiday resort is located in Bagolyvár street. It was reconstructed in a romantic style by Román Mardini, an architect from Nagykanizsa. In 1742, the Roman Catholic Church in the Old Village was restored in baroque style after the Turkish occupation. In its early gothic sanctuary, one of the two renaissance tabernacles of Hungary can be found here. It is the scene of classical organ concerts in the summer evenings. The so-called Hunyady castle was built in the 13th century, the late baroque manor gives the tourists an imposing sight. Next to it, a modern school building was built including a modern sport facility. Near the complex, a storeyed granary, which is under local protection and the not far away located Baptist Chapel, which is the only one in the southern coast of Lake Balaton can be found. In the southern part of Lake Balaton, the most museums can be found in Balatonszemes. A post chaise draws the attention of the tourists to the Postal museum next to the Route 7. The exhibition has been set up in the 18th century barn of the former post chaise horse relay. The unique exhibition of Lake Balaton called “From diligence to travelling post office” (A delizsánsztól a mozgópostáig) presents the history of postal delivery services. The museum was completely reconstructed in 2004 and at the same time, a unique memorial was inaugurated, which commemorates the postmen and telecommunication professionals, who died during their duties. The Latinovits Zoltán Memorial Museum is also located in Balatonszemes, which introduces the life of the actor with help of photos and documents. Zoltán Latinovits often relaxed in the village, he died here and is buried in the cemetery of Balatonszemes. The exhibition presenting Károly Reich, graphic artist’s artworks and local historic materials welcomes the guests in Balatonszemes too. Beside the green areas in Balatonszemes, the child-friendly aqua park is also a big attraction. The families can enjoy their holiday even in a chilly weather, because the pools are permanently filled with warm water. The free and colorful programs of the Bandstand and the Latinovits Zoltán Cultural House help the guests to relax. We are welcoming our guests with well-kept streets, green areas covered with flowers and hospitability. In the restaurants, our guests can taste traditional Hungarian dishes and specialties. In the cellars, they can try out luscious types of wine. Koprivničko-križevačka county is located in the northwestern part of Croatian and includes 3 towns – Koprivnica, Križevci and Đurđevac and 22 municipalities. County performs, among other responsibilities, tasks in connection to the economic development of the area, where tourism is one of the important branches identified in the County Development Strategy. The organization operates in the Town of Marcali and the belonging subregion since May 2000, when the so-called Balatoni bringakörút (Bicycle path around Lake Balaton) motivated the local cyclists to establish a bicycling association. The organization was established by only 25 people, but the events and tours organized by the Marcali Cycling Sport Association attract 2.000 people every year. The goal of the association is to direct the attention and interest of the inhabitants of the town towards the healthy lifestyle and to promote the natural values of the Pannonian Basin. The tours Marcali Cycling Sport Association organizes include the following locations: Ridge of Marcali, Balaton bypass tour, Lake Neusiedl, Croatia, Lake Velence, Transylvania.